With his towering neck and mighty shoulders, here’s the next entry for my dinosaur series – a cartoon Brachiosaurus! Brachiosaurus was a sauropod from the late Jurassic period (155-140 million years ago) and first discovered in 1903. Why choose a cartoon brachiosaurus? 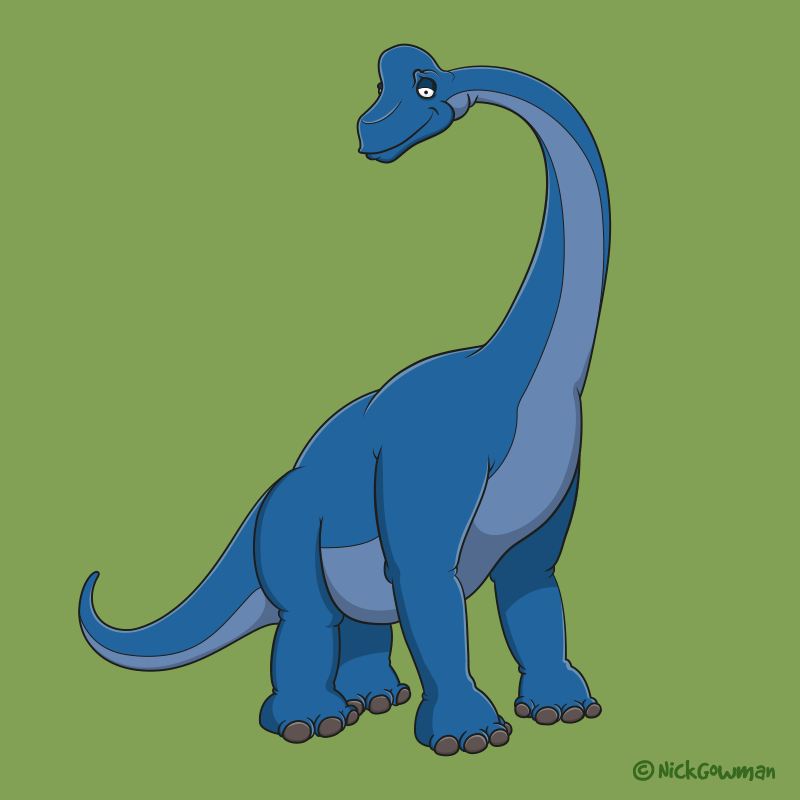 Ever since a child and seeing him in one of the opening sequences to the wonderful Jurassic Park, I knew I had to create a cartoon Brachiosaurus. He was another cartoon that began life as a pencil sketch, with emphasis on the large body and small head. I wanted to add a dopey, yet gentle expression on his face. He’s then topped off with a long neck, but relatively shorter tail. I chose a subtle blue tone to colour this cartoon dinosaur, as I felt this not only mirrored his personality but also contrasts well with the other dinosaurs. Being a gentle herbivore, he’ll be quite at home amongst my other cartoon dinosaurs, Stegosaurus and Triceratops.